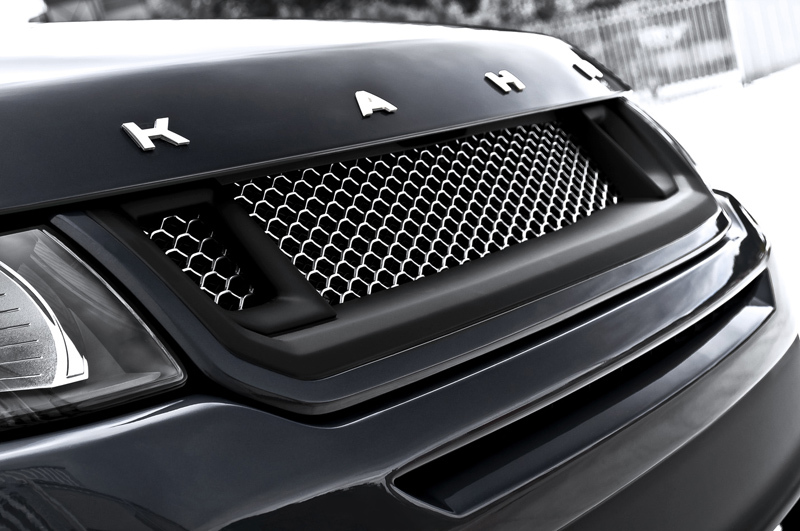 A Kahn Design has created a number of upgrade programs for the new Range Rover Evoque since it made its worldwide debut so that customers could have a vast array of options for their SUV. After unveiling the vibrant Vesuvius Copper RS250 model, the British team decided to go a bit darker with their new Tungsten Metallic Edition Range Rover Evoque RS250 for the upcoming Carfest show. 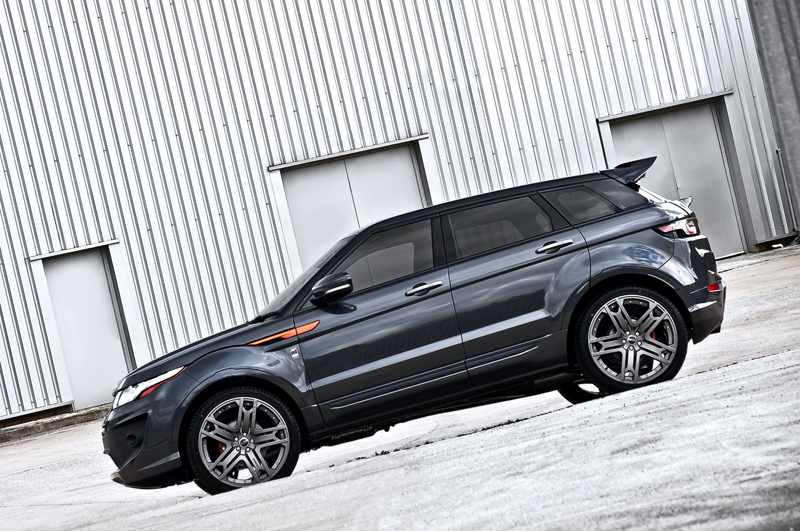 The exterior of the new Range Rover model wears a coat of Metallic Tungsten paint contrasted by copper painted brake calipers, headlight trims, and side vents. 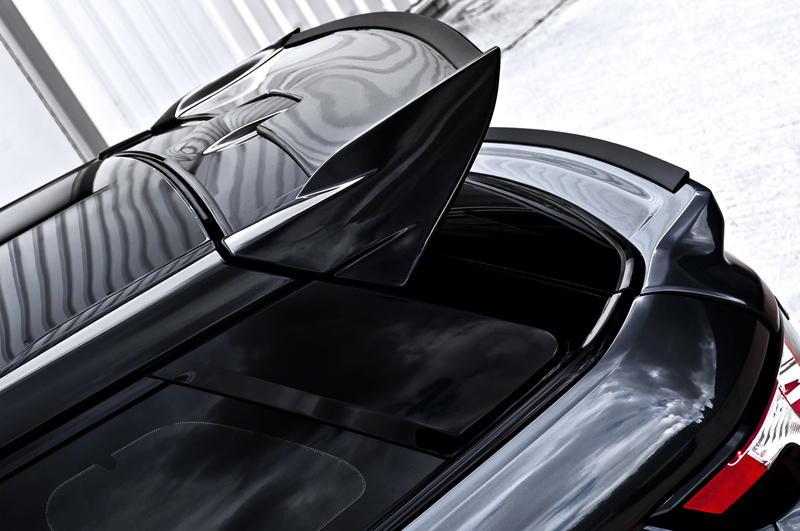 Much of the upgrades such as the lower trunk spoiler, front bumper center section, front bumper 3D mesh grille and section, rear diffuser, side vent surrounds, and sump guards wear a slick matte black finish, while the rear trunklid trim is in gloss black. 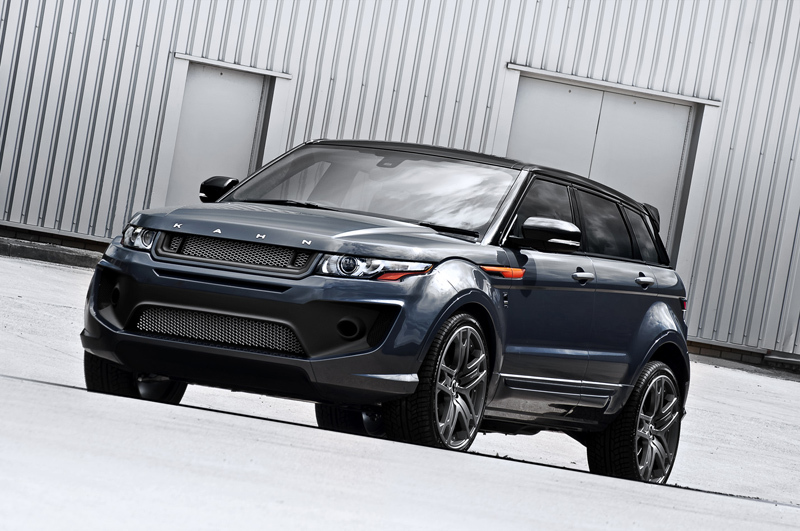 These elements work to emphasize the darker character of the Tungsten Range Rover Evoque RS250 and also help to add a touch of aerodynamic efficiency to the SUV. A number of trim pieces, and the front chin spoiler were color-matched with Tungsten paint to create a well-rounded color scheme. 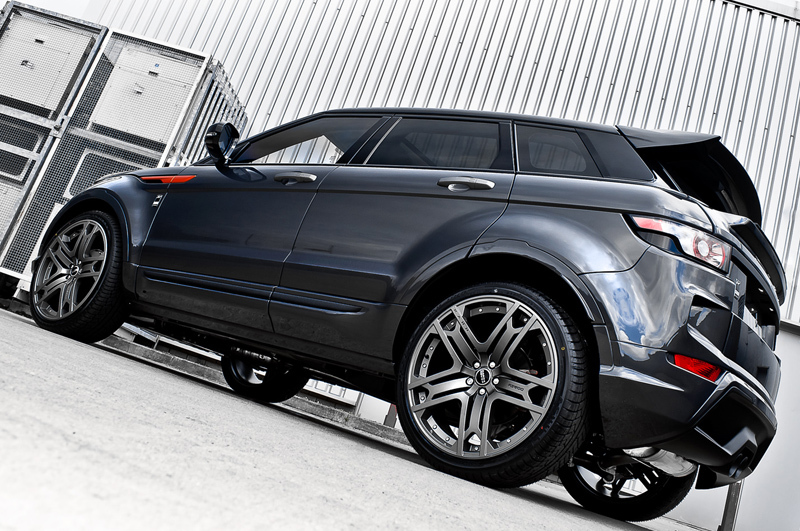 In addition to boasting a show-stopping exterior design, the team at A Kahn Design also fitted the Tungsten Metallic Edition Range Rover Evoque RS250 with a dynamic wheel fitment and innovative exhaust system. 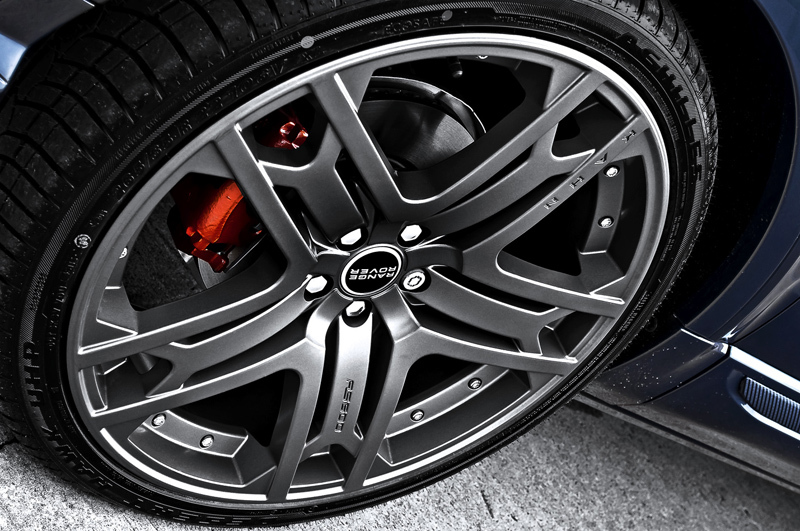 A set of 9 x 22 Kahn RS600 wheels with a right offset are worn by the front and rear axles with a matte grey finish to complement the exterior color scheme, and the original Range Rover center caps. Protruding from the rear bumper is a pair of center-mounted stainless-steel Kahn cross-hair exhaust tips that add a bit of power and give the SUV a more menacing voice. 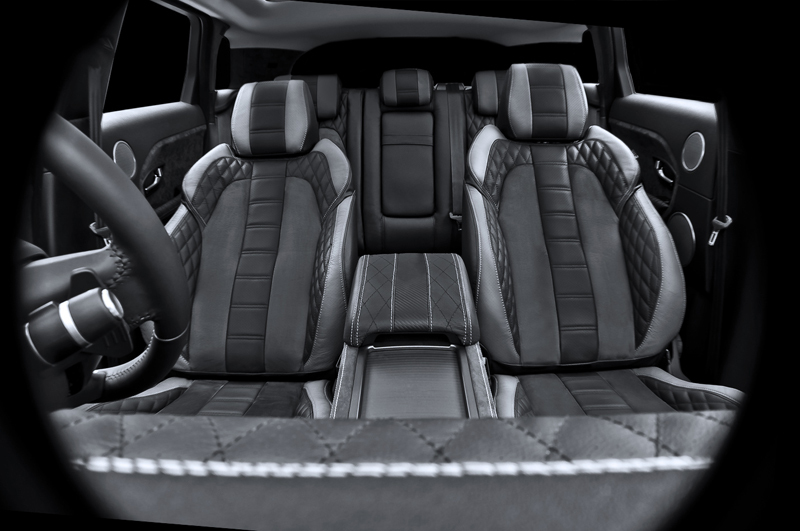 Once you get past the exterior and enter the Tungsten Range Rover Evoque RS250, you’re treated to a luxurious and sporty cabin lined with some of the finest materials. 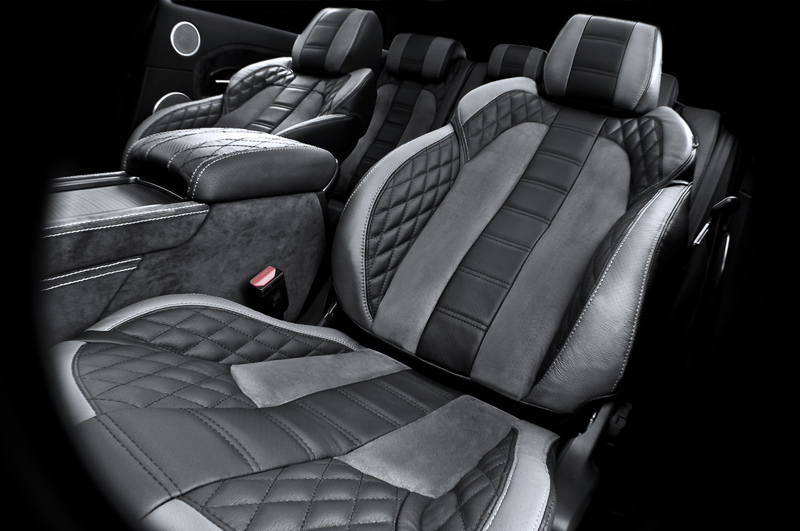 The original seats were removed and replaced with more supportive seating outfitted with perforated leather and alcantara inserts that ooze comfort from every pore. 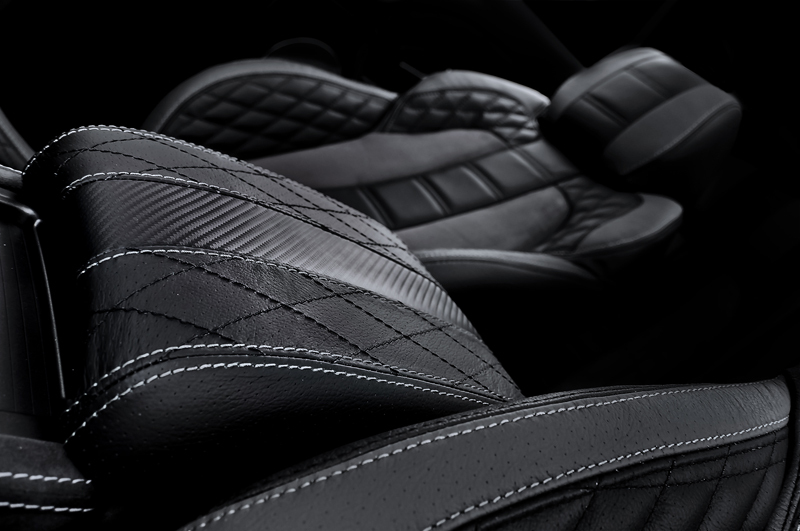 Alcantara with contrasting stitching is worn by the instrument binnacle, dashboard, and transmission tunnel, while quilted leather adorns the dashboard, door arm rests, console, and glove box. Special stainless steel door entry sills greet passengers and tough, heavy duty carpets protect the interior. For a touch of sport, the team installed carbon fiber trim on the center console, added a red speedometer and tachometer, and replaced the standard pedals with a set of machined and vented units. 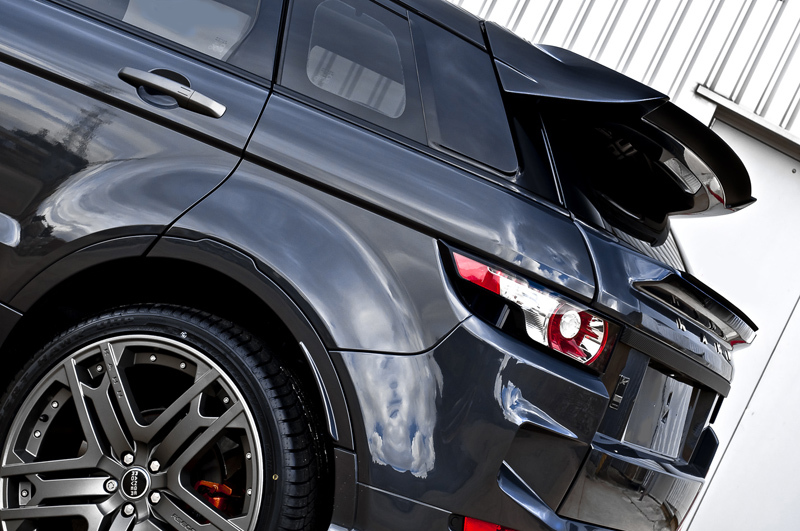 The new A Kahn Design Tungsten Metallic Edition Range Rover Evoque RS250 will be shown at the Carfest show in Hampshire on August 25th and 26th, alongside Afzal Kahn’s Bugatti Veyron with the “F1” number plate and BBC’s Chris Evans. Customers can order the newly designed car as-is or have the option on configuring the SUV to suit their needs. Pricing has not been released. 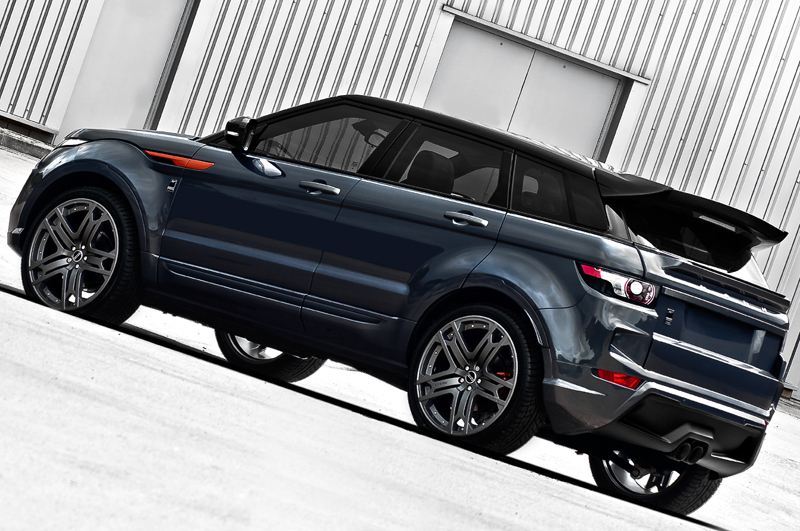 What do you think of the Tungsten Metallic Edition Evoque RS250? Leave a comment and let us know!